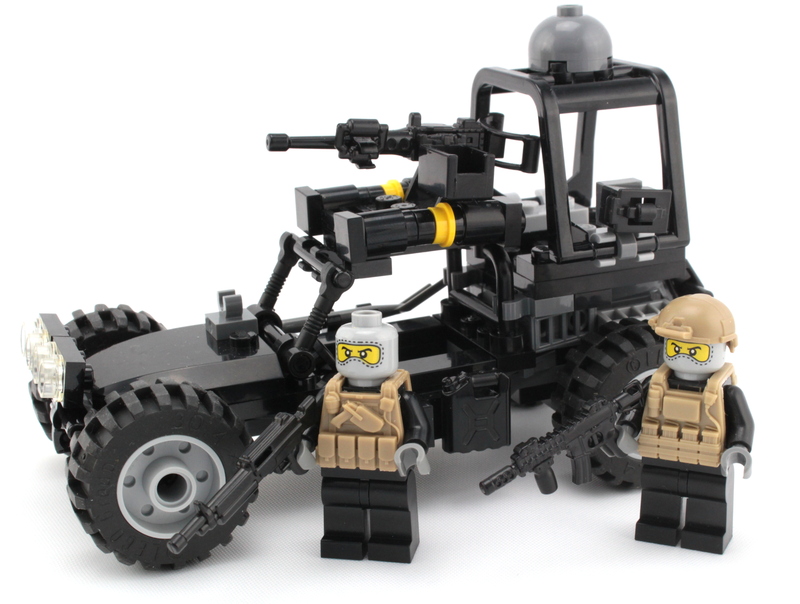 This sale is for the Battle Brick Desert Patrol Vehicle, made with over 97 real LEGO® brick and custom weapons! WEAPONS: The desert patrol vehicle is heavily armed with a roof mounted machine gun, 2 roof mounted AT4's, and LMG. good design no steering wheel and the sloped side piece come off to easy may need to clue. other wise i like it. o broke the handle to the machine gun little to easy. could be just melol.